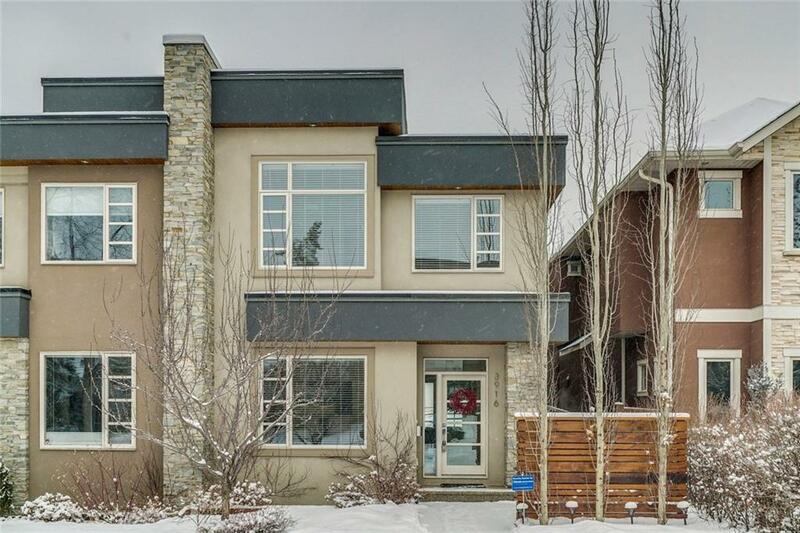 DESCRIPTION RARE WALKOUT HOME IN TRENDY ALTADORE - Welcome to 3916 17th SW, this FULLY UPGRADED home truly has it all. Entering you will be greeted with a large foyer, wide plank hardwood flooring, main floor den with large windows. Enjoy the open concept main living space with a chefs kitchen, top of the line stainless steel appliances, 42 inch gas range, wine fridge and quartz counter tops. Massive dining and great room with gas fireplace, access to large deck and VIEWS OF DOWNTOWN. The upper floor showcases 3 bedrooms; the master boasts a large walk-in closet with custom cabinets, spa like en suite with STEAM SHOWER and heated floors. 2 more additional bedrooms, 4 piece bath and upper floor laundry. Fully developed walkout basement with IN-FLOOR HEAT, large entertainment space that walks out to a covered deck, additional bedroom and 4 piece bath. Over 30k worth of concrete work, central air and double car garage. Book your showing today! !